The New Era is better than the Neu Era, and the Bruins now have a National Ranking to prove it. After a convincing win at Rice, and a dramatic win over #16 Nebraska in Week 2, UCLA is suddenly on the radar again, surfacing at #22 in the Associated Press College Football Rankings. The Bruins haven’t seen their name listed in a poll in over half a decade, so even though early-season polls don’t really mean anything, this time it does. After UCLA amassed the 3rd-most Total Offense of anyone in the Country, led by the Nation’s leading Rusher Jonathan Franklin, Poll voters have sat up and realized that the Bruins are finally for real again. UCLA has a good chance to keep the momentum rolling, with weak Houston coming into the Rose Bowl next Saturday. 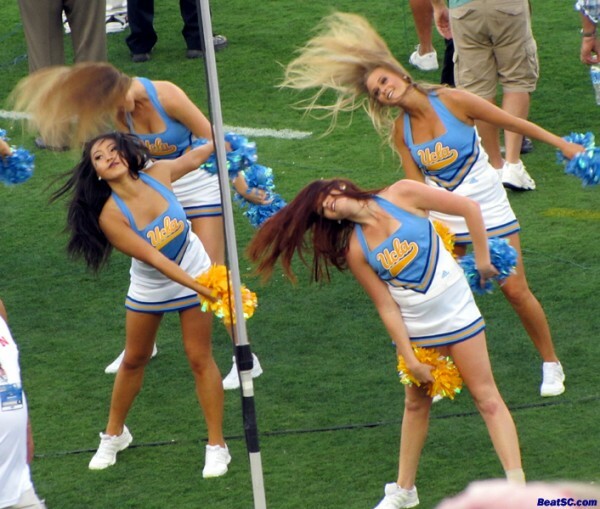 The Cougars are a 17-point underdog, give or take a half-point, as oddsmakers and bettors are also becoming aware of UCLA’s resurgence. After Houson, the Bruins host Oregon State, which looks a lot harder now that the Beavers just upset #13 Wisconsin 10-7, holding Heisman Trophy finalist Montee Ball to just 60 yards Rushing. Of course, that was in Corvallis, and if the Beavs key on stopping Franklin and the Ground Game, UCLA QB Brett Hundley is capable of making them pay. The Bruins don’t play another ranked team until November, when $C comes to Pasadena, assuming the trojan athletic depatment isn’t disbanded for cheating before then. $C had touble with unranked Syracuse on Saturday, so they have yet to show worthiness of their #2 Ranking. And they are also one injury away from being a completely ordinary team. But their schedule is easy, so it could be 2006 all over again — The Bruins could have a chance to knock sc out of the BCS Title game, just like their 13-9 upset did 6 years ago. But as every Bruin will tell you, no one is thinking about that potential match-up — Instead, the Bruins are taking one game at a time, refusing to believe their press clippings, and not letting the praise go to their heads. Coach Mora says that letdowns are always possible after emotional victories like the one on Saturday night, but he assures fans that he will make sure the Bruins don’t come out complacent against Houston. Of course after seeing Houston’s Defense get shredded so far this season, the Bruins might be thinking about gaining ANOTHER 600 yards — or more — when the Cougars come to town. 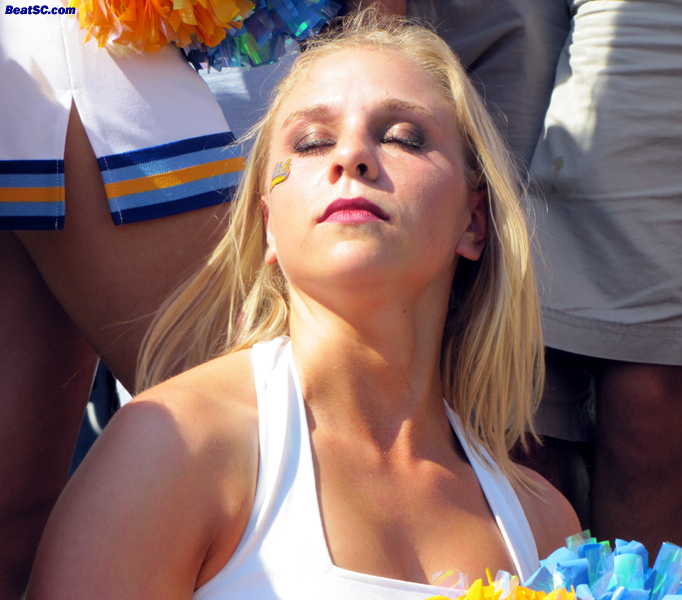 "TWO WEEKS NOTICE" was published on September 10th, 2012 and is listed in Blue & Gold News, UCLA/usc/Cheerleader Photos.